Okay, you probably know about abscesses. And you're guessing that this topic involves your mouth, right? We're discussing periodontal abscess today because avoiding them is another important reason to establish and follow a regular dental hygiene routine. In those who suffer from periodontal disease, the space between the teeth and the gums can increase, especially if the gums become infected. That space is known as a pocket. When the pocket deepens to the point where small food particles can lodge in it, the risk of bacteria increases. Once bacteria growth is established, a very rapid destruction of the supporting connective tissue and bone can ensue. An abscess can be very painful and, if left untreated, can cause you to lose a tooth. If an abscess continues to be ignored, consequences can become even more severe and lead to serious health complications. Periodontal abscesses are more common in people over 40 but can also afflict children. By maintaining regular checkups and dental cleaning, we can help detect periodontal problems. 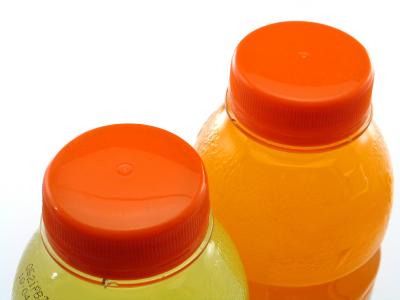 It's easy to rationalize using sports and energy drinks in the heat of summer activities. An energy jolt may boost your game and stores have aisles of drinks to meet that desire. But a recent study shows that such drinks bathe the teeth in acid, rapidly eroding tooth enamel. In a matter of days, you can damage your teeth. Better alternatives on the playing field or training circuit include chilled herb teas, coconut water, water flavored by mint leaves, and just plain water. All have excellent re-hydrating properties without the sugar, acid, caffeine and artificial ingredients. A recent review of women's health studies indicates a link between hormones and gum disease. Professor Charlene Krejci of Case Western Reserve University School of Dental Medicine found that the fluctuation of female hormones throughout their lives can change conditions in the mouth enough to allow bacteria to grow. Higher bacteria levels can lead to periodontal issues and risks of bone loss, fetal complications and pre-term births. "There's definitely a gender-specific connection between women's hormones, gum disease, and specific health issues impacting women," Krejci said.